Thanks Martin. I'm a big fan of the work being done by yourself and UCC on Sir Henry's. I'll definitely give you a tour of the archive next time you are around. 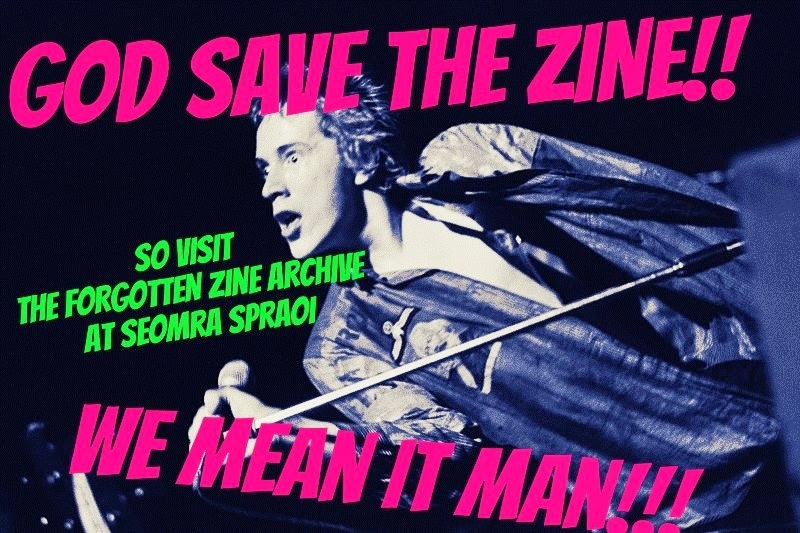 In the mean-time we will have a pop-up zine archive at the A&SL conference next month. 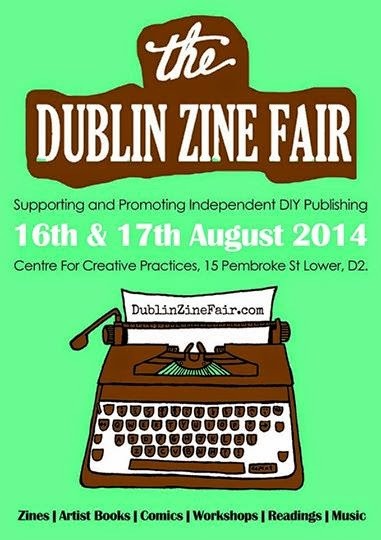 Will unearth a few Cork zines from the collection and bring them along! Hey Mick -- many thanks for your post. I'm most impressed by your collective effort in bringing back to life, maintaining, describing and providing a space for those zines. You mention access, distribution and the importance of creating a lasting historical record. Have you and Tom considered to curate some particularly interesting items (along the lines of themes etc.) and then digitise those? On the back of this work, you could then create an online open access archive/library hosted on an open source content management system. If you consider going down this route, another interesting twist would be to further increase value and spread through the introduction of machine-readable data representations via RDF. Great project! Two Cork classics from the early/mid-90s spring to mind. Choc-a-Bloc which was mostly music, and No More Plastic Pitches a very very funny Cork City FC zine. hi Dowtcha, grand Cork name. When we were doing the Henrys expo we were loaned so many of the Cork zines. Full run of Choc a Bloc actually. Had so much great fun reading back over them. Happy Days!!! Hey Dowtcha, we have a few copies of Choc-a-bloc in the zine archive alright. 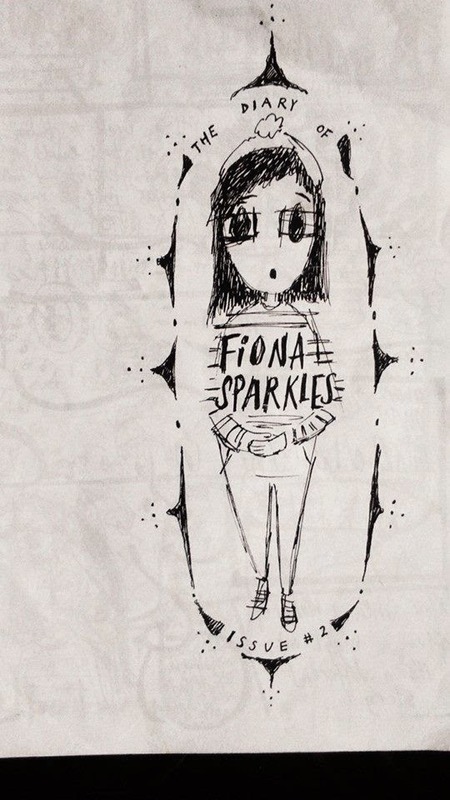 Good zine! Haven't read 'No more plastic pitches", sounds great. I am a big fan of the Sultans of Ping song of the same name! Thanks for the comment. Thats a good question! Digitising zines is certainly something we have thought about. It is a bit of a hot topic at the moment within the zine community. Some people are for it (it increases access to zines, helps to preserve material and promotes the medium), while others are totally opposed to the idea (zines are created by hand and meant to be physically shared. 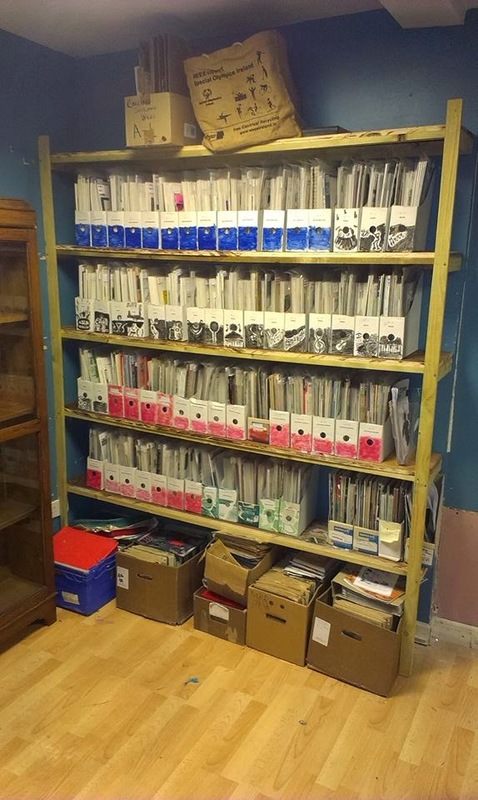 As they can be highly personal and generally distributed in small runs to like-minded souls, some members of the zine community are uncomfortable with having their work in an archive, even in an autonomous social centre like ours. To put something online for a worldwide audience might be completely against the creator’s intentions. Plus, as so many zinesters operate under aliases, obtaining permission from them to digitise zines can be a very time consuming task). Even within the zine community in Dublin there is disagreement over whether or not it should be done. I am not opposed to digitising a selection of zines for something like an online curated exhibition, but at the moment finding the time to do so would be an issue. Getting the physical copies preserved and catalogued, while promoting the medium is our main priority. 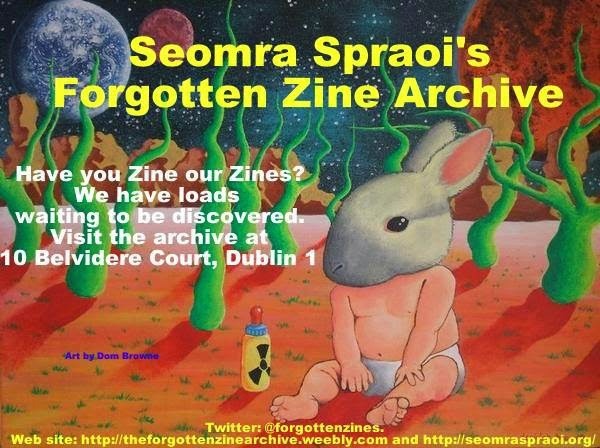 Only two of us operate the archive (with help from some members of the Dublin Zine Collective) on a voluntary basis. We both have day-to-day library jobs, and have been lucky to get a steady stream of donations which has kept us busy. We did have a physical exhibition last year in the CFCP which ran for almost two weeks. It was a great success and personally I would be more inclined to do something like that again. I can’t speak for Tom. If we were to digitise the whole archive it would be good to get some capstone students involved, could be a great project for them.